The largest meat fish of the tournament was a 59.4-pound wahoo caught by Mike Tarmey on Sandman, giving the team a bonus payout of $15,300 for the Big Fish Bonanza. Two days of tough fishing didn’t stop 46 teams from releasing over 275 sailfish during the 3rd Annual Operation Sailfish in West Palm Beach, FL. 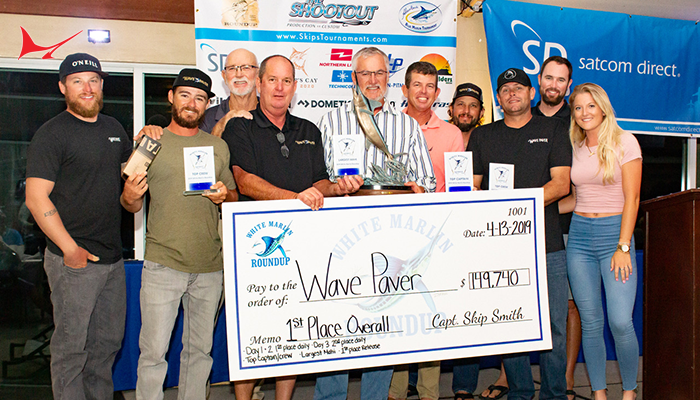 This first leg of the Quest for the Crest Sailfish Series took place December 12th and 13th at Sailfish Marina in Singer Island and the payout was a hefty one. A purse in excess of $540,000 was up for grabs in addition to custom champion dog tags made and presented by Altier Jewelers of Boca Raton. Team BAR South took the top title with 12 releases, sending them home with a $157,170 payout. Last year’s champion, Miss Annie, picked up where they left off in the 2013 event. They took the lead during Day 1 of the competition with 7 releases, earning over $66,000 in the dailies on the first day. Kimbuktu trailed closely behind on their 39’ SeaVee with 7 releases, followed by One Up with 6 releases and Sandman with 6 releases aboard their 33’ Contender. Day 2 was anyone’s game as top teams fell behind and underdogs rose up the ranks with their release numbers. Angler Management climbed to 4th place on Day 2 with 6 releases and earned themselves an Early Bite payout. Swagger pushed their way into the 2nd place spot with 7 releases and took home a check for $92,980.00! Rounding out the final competition day was BAR South, releasing 7 sailfish and taking the lead over Swagger based on time. 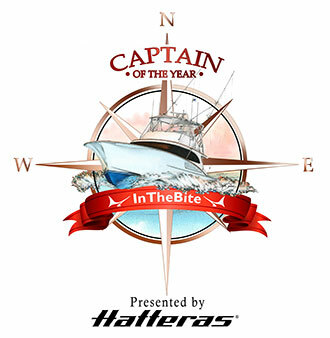 A total of 12 releases earned BAR South the top team title, high point boat Over 40’, Leaders Board 1st place, Tier 1 and Tier 2 first place for Day 2 of the tournament and the charity calcutta. Swagger finished second with 12 releases, One Up came in 3rd place with 11 releases, Miss Annie took 4th place with 11 releases and 4 Aces rounded out the top 5 with 10 releases. The Master Angler title went to Peter Adrian of 4 Aces with a total of 8 releases in the tournament. 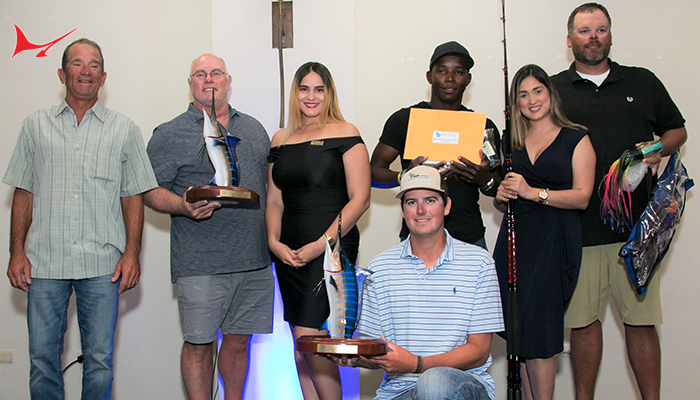 Janene Claus from team Qualifier claimed the Top Female Angler title with 4 releases and Erik Perna from ECO Fishing Team earned Top Junior Angler with 3 releases. The Top Senior Angler was Roger Ward from Just Do It. 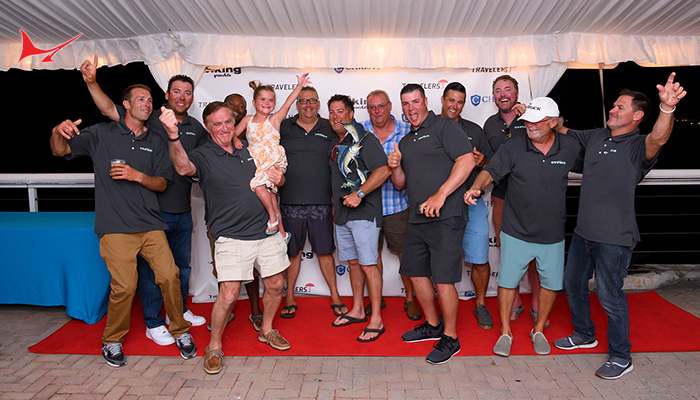 The largest meat fish of the tournament was a 59.4-pound wahoo caught by Mike Tarmey on Sandman, giving the team a bonus payout of $15,300 for the Big Fish Bonanza. The Boat Builders Throwdown was awarded to Viking with a total of 76 points. The Throwdown follows the same point system as the Quest for the Crest. Team Miss Annie contributed 27 points to the Viking score, 4 Aces contributed 26 and DeBaitAble earned 23 points in 8th place. 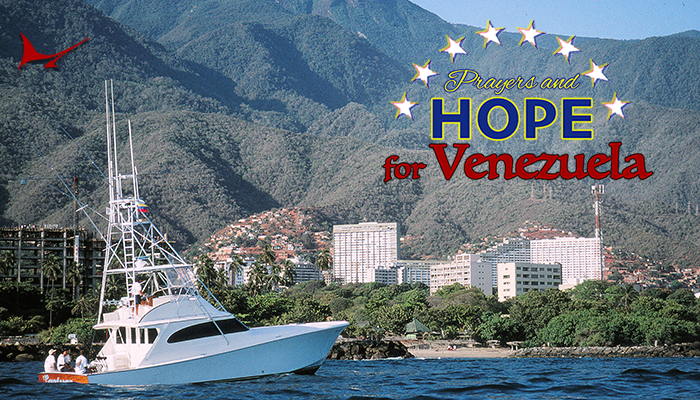 The military undertones of Operation Sailfish were also highlighted throughout the week. On December 11th, several of the Operation Sailfish teams participated in the “Take a Hero Fishing Day,” where service men and women were invited out for a day of sailfishing. 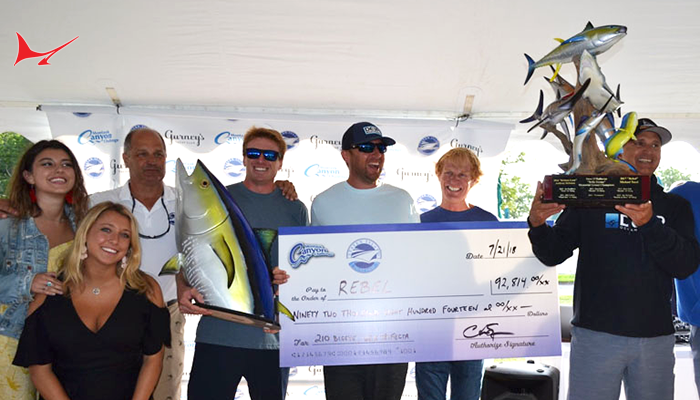 The “Take a Hero Fishing Day” was accomplished with the help of Operation Homefront, a national 501c(3) military based charity and beneficiary of Operation Sailfish. 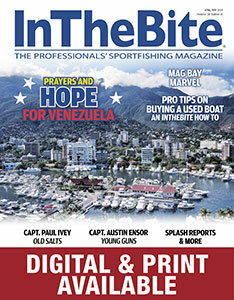 Several soldiers had the opportunity to catch their very first sailfish.